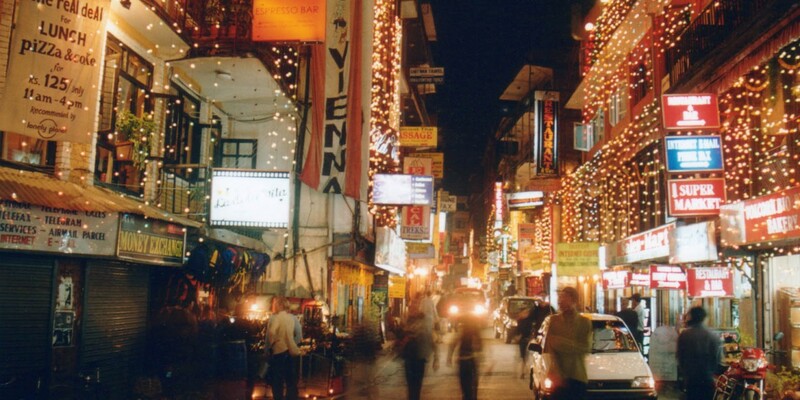 Nightlife in Kathmandu is concentrated on Thamel, which saw only minor damage in the 2015 earthquake. Another cluster of popular bars can be found at Pulchowk in Patan, which also escaped the worst in the tremors. Most bars cater to backpackers and trekkers and some have live music, but there are a handful of more upmarket establishments, mostly in the big hotels. By law, all music in public places has to be turned off by 22:00, but many bars in Thamel manage to stay open until midnight or later. There are entertainment listings sections in the Kathmandu Post (www.ekantipur.com) and The Himalayan Times (www.thehimalayantimes.com). If you want more high-brow attractions, there are several interesting cultural centres and some of the more upmarket Nepali restaurants have traditional dance shows. A laid-back spot for a cocktail or a post-trek beer, with good bar food, international tunes on the sound system and a calm courtyard location. You can sit indoors or out in the patio, surrounded by twinkling lights. Telephone: +977 1 425 6622. Arguably the most chilled of the backpacker bars in Thamel, Rum Doodle can claim some famous former patrons, including most of the Everest summiteers of the last 50 years. Mountaineering expeditions still leave their signatures on cardboard yeti footprints that adorn the ceiling and walls. A backpacker favourite – small, cosy, noisy and a perfect place to sink a cold Everest beer after weeks trekking in the mountains. There are pool tables, and a dance floor that gets going when big trekking groups are in town and feel like celebrating. Those in the know gather at this old-school beer house and music venue on Friday and Wednesday evenings for decent rock, reggae and R’n’B. Most of the music is targeted at a Nepali audience, which makes a nice change from the stuck-in-a-time-warp covers bands playing elsewhere in Thamel. At the back of the trendy Himalayan Java coffeeshop, J Bar caters to a trendy crowd of locals, expats, and well-heeled trekkers. Looking more Manhattan than downtown Kathmandu, the bar has an extensive cocktail menu and chill-out sounds on the system. By far the most sophisticated night out in Thamel, Tamas Spa Lounge offers Buddha Bar ambiance, ground-breaking cocktails and deeply cool sounds, from live music to DJ sets. Candles, flowing drapes, divans and Buddha statues create the perfect chill-out space. A Kathmandu institution, the courtyard at New Orleans is decked out with large pub tables and bands play well-above-average blues and rock covers most evenings. The food is well-above-average too, but arrive early to nab a table. The stylish bar at the Hyatt Regency often hosts live jazz, appealing to the tastes of well-heeled international drinkers, diplomats and aid organisation heads who all seem to congregate here. The only serious jazz venue in Kathmandu, this cosy bar hosts the best musicians in the valley on Wednesday and Saturday. 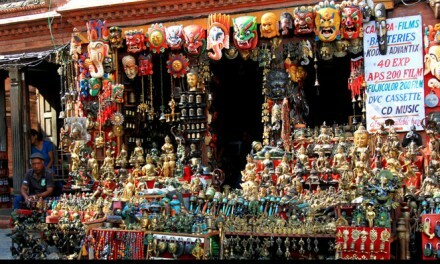 It’s a welcome change from the noisy covers bands shaking the rafters in Thamel.